As you may know from reading my previous posts, I just returned from a trip over to the UK, wherein I visited both Glasgow and London. I returned with a bunch of photos to process - about which I will never complain! - and thought I may as well start today, since I did manage to process a little over the weekend. 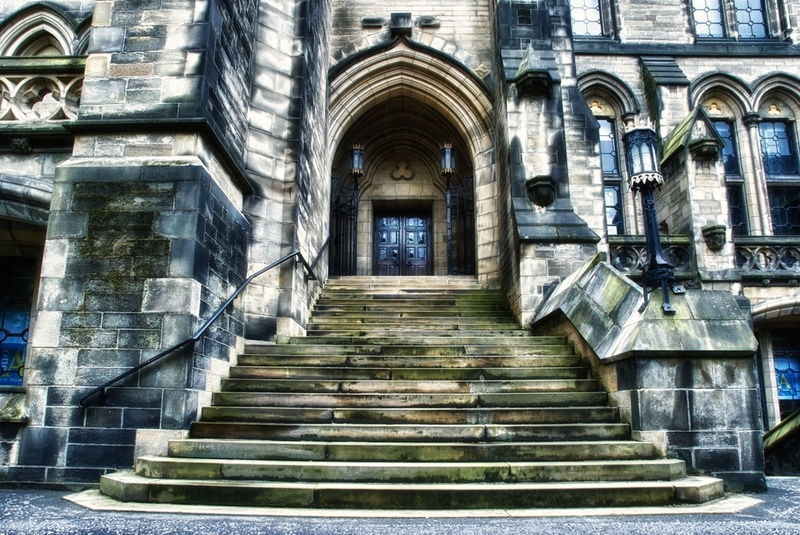 This shot is from the University of Glasgow, which had a number of architectural elements that reminded me of Hogwarts, the school that Harry Potter attended in his books (I am assuming everyone has read those!). The campus was not really that large, but I spent a while walking around there, getting rained on, shooting a bunch of photos, and generally just enjoying the heck out of it! More to come!